Insulating foam such as low and high expansion foam seal and insulate the home or building where applied. Two part polyurethane foam is an example of high expansion foam. Insulating foam limits the amount of unwanted air exchanges, thus dramatically lowering energy costs. Spray polyurethane foams (2-part foams) are made by mixing chemicals to react and create a foam, which happens very quickly. When this reaction occurs, the chemicals expand to create a foam that is excellent for gap filling, insulating and flotation. The mixture is also great for air seals and providing a moisture barrier. SPF insulation Â resists heat transfer well, and usually provides a solution in reducing unwanted air infiltration through cracks, seams, and joints. Spray polyurethane foam is made by combining two liquids during a chemical reaction to form a foam. The two liquids come in different containers. These two containers are generally referred to as the “A” side and the “B” side. The “A” side of the Â system is typically methylene diphenyl diisocyanate (MDI) and polymeric methylene diphenyl diisocyanate (pMDI). The “B” side of the system is typically a blend of polyols, catalysts, blowing agent, flame retardant, and surfactant. Polyols are part of the chemical reaction to make the foam. The other ingredients in the “B” side serve help control the creation of the foam bubbles (“cells”) in the best way, and to provide the various characteristics of the finished product. To learn more about how to buy the right spray foam for your project, view our buying guide. Does A CPDS Spray Foam Machine Need Special Foam? We were recently asked by a customer if they could use a 55 gallon drum Â of foam material with the CPDS series 2 – the Constant Pressure Dispensing System Foam machine from Touch n Seal. It’s a valid question – he was probably trying to get the most foam dispensed and so the bigger the canister the better. However, the answer is NO. 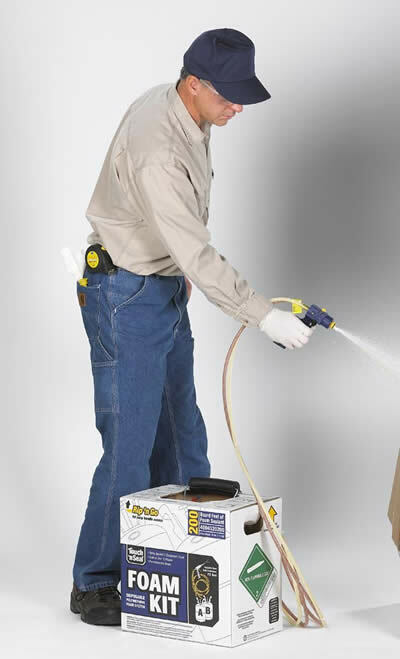 You need to get specific foam that will work with the manufacturer spray foam dispensing machine. In this case the manufacturer is Touch n Seal, and you would need to use either the 750 board foot fire retardant closed cell foam or the 1200 board foot open cell foam. Both come with an A and B tank which contains chemicals that are formulated to work specifically with the CPDS. So you can’t use this foam on its own. 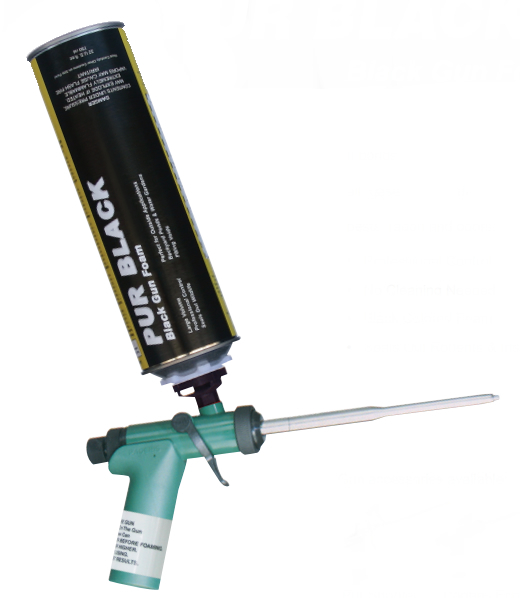 Also the accessories such as gun dispensers and hose assemblies to be used with the spray foam machine are brand specific. So you would have to purchase ones made by Touch n Seal designed to work with the CPDS. 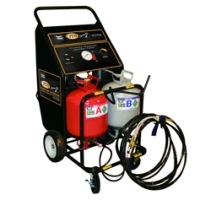 So when deciding to invest in the CPDS machine for your next spray foam project, be sure to make a list of all the components you would need and where you would source them. Spray foam is to your home like a cap is to a bottle of soda – keeping air from leaving and coming out, but the mysteries of spray foam don’t begin and end there. In addition to sealing air leaks (and unlike a soda cap), spray foam also works to insulate the home. Making sure you don’t lose your head while navigating the waters of spray insulators, here are 5 things you should know about DIY spray foam insulation. 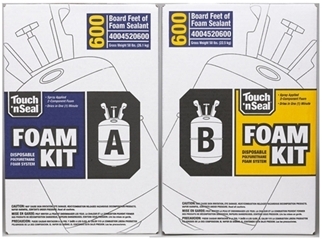 Spray foam kits are measured in board feet, or square feet. A 600 board foot kit will cover 600 square feet at 1 inch thickness or 300 square feet at 2 inches thick; a 200 board foot kit will cover 200 square feet at 1 inch thickness, and so on. What makes spray foam a smart investment is that it expands, so a little goes a long way as it expands rapidly. So to calculate how much spray foam you would need for your project, calculate the square footage to be covered first. Then decide on the desired thickness to achieve you desired insulation level. e.g. for closed spray foam the R Value is 7.12 per inch. Â If your area to be sprayed is 580 square feet and you want an R value of 14, then you would need (2) 600 board feet spray foam kits to finish your project. Attics and Garages – Most attics and garages are poorly insulated areas, always either overly hot or overly cold. Basements – Basements fall prey to humidity, breeding mold and mildew when not properly insulated. Walls, Ceilings and Floors – Air leaks are at home in the cracks/gaps found in walls, ceilings and floors. 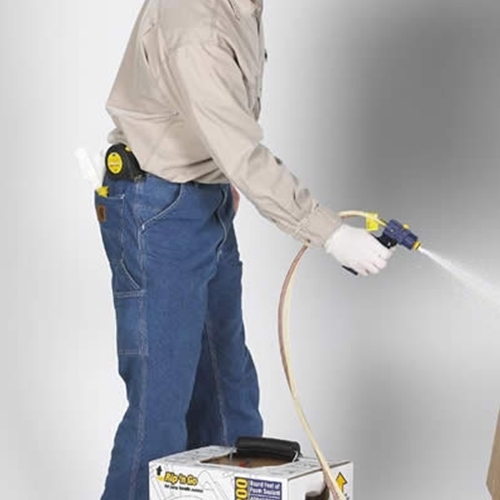 Spraying 1″ thickness expands 30 times, so be a little conservative with spraying the foam. Finally, always wear protective gear (goggles, gloves, disposable coverall) when completing DIY projects. Spray foam protects the energy in a home from escaping and prevents outside air from breaking through, giving you – not air leaks and the gas company – control over the temperature in your home and the results of your heating bill. Proper insulation makes it easier for the air system in your home to work the way it was intended to, preventing the need to adjust the heating/cooling system throughout the day. During winter, heating costs alone are 2% on every degree you raise the thermostat. That’s money spent on energy flying straight through all of those gaps and cracks. You can reduce your energy costs by up to 20% by using DIY spray foam and other energy efficient tools. Ultimately, the comfort of your home and ease on the wallet make using DIY spray foam a smart, energy and cost efficient solution to your heating and cooling woes. With the intense rise of heat and humidity, energy conservation for homeowners is more significant than ever. 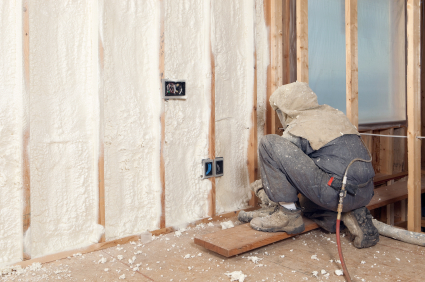 Homeowners are finding an increase in their energy bills and are unaware that they can reduce costs by installing spray foam insulation inside of their homes. One of the most economical and useful ways to insulate your home is using a unique product called spray foam. DIY Spray Foam Insulation is beneficial by preventing heat increase in the summer and heat decrease in the winter, and also, lowering the costs of your monthly energy bills! If you think that is great, it gets better. 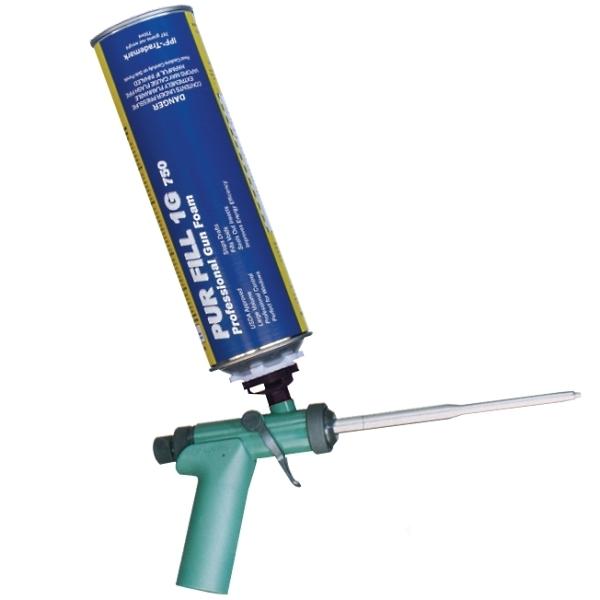 Since spray foam is easy to install it is a great DIY product that any homeowner can use. So there is no need to worry about contracting anyone to do the job for you. Furthermore, this will guarantee that both your home and your wallet are protected from unnecessary expenses. When the Touch ‘N Seal Foam mix is sprayed onto your walls, floors and ceilings, the shell of your home becomes protected. It’s this protection that blocks heat gain in the summer and heat loss in the winter, thus preventing dramatic temperatures changes in the home. Correctly installed, insulation delivers comfort and lower energy bills during the hottest and coldest times of the year. In fact, if you seal air leaks withÂ caulk before you insulate, you can save up to 20% on your heating and cooling*, as insulation works best when air is not moving through or around it. So if you’re looking to take on an insulation project this fall, consider doing it yourself with a Spray Foam Insulation Kit. 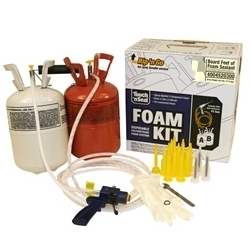 If you’re still not comfortable with making that investment, then test it out with an inexpensive 15 Board Foot Spray foam kit. At $45 it’s a great way to get your feet wet with spray foam insulation.